This 1-hour video interview with Charles Duhigg will open your eyes on how to control your behavior and habits. The good thing about having a bad memory is I can read a book…then 3 months later, read it again and it’s all new to me. Amazing! This is why, when I was a kid, I read every book in our house at least 3 times — including the ENTIRE series of my sisters’ books, Sweet Valley High, three times. I love you Jessica and Elizabeth Wakefield. Anyway, the point of all this is that I read a lot — usually about 3 books/week — but recently, I’ve been spending more time reading pointless blogs and online aggregators. Why? Because I’m on my laptop, and they’re a click away. I “knew” I want to read more long, nuanced books, but I found myself reading blog articles that I’d forget by the next morning. So it was recently, when I read a book called The Power of Habit, I decided to get back into reading my usual number of books. I love books, I love reading years of someone’s best work compressed into a book, and if I apply just ONE insight to my life, I usually get massive rewards. So I changed the way I approached reading books. I tested putting books around my house — bookmarked — so I could pick them up and read them when I had 3 minutes of downtime (like while I was heating up tea). Most powerful of all, I used the principle of barriers to leave my laptop in another room when I went to sleep. RESULT: I’m reading ONE ADDITIONAL BOOK PER WEEK. Awesome. The entire framework of my test came from Charles Duhigg’s Power of Habit, who’s written arguably the best book on behavioral change in modern times. And I say that as a huge nerd who’s read most of the books on behavioral change. Today, I’m thrilled to unveil an interview with Charles. This 1-hour interview will open your eyes on how to control your own behavior. Charles has the ability to take complex concepts of behavioral change — Why don’t we exercise more? Why do we feel guilty about getting distracted? — and show you how to use the science in an actionable way. This interview has never been revealed anywhere else, and I created it especially for you. Action breeds attitude. Trying to become successful by thinking about it is futile and has never, ever worked for me. Our brain seem to need physical, real world proof before it will change it’s stance on things like our self image. His book is a game changer. I listed to the audio version and then listened to it again. Since then I’ve started a better brushing habit (flossing included), a weights workout 5 times a week and Spanish for 40 minutes per day. My success rate has been around 70% for the past 6 weeks. All thanks to a few small tweaks, mainly surrounding barriers to resistance of doing the task and setting a few visual prompts to remind me to take action. Will be listening to it again soon to really embed his suggestions. I want to create a writing habit (to help me write a novel). Will this help? Because I tried BJ Fogg’s “3 Tiny Habits” and it worked to give me an exercising habit. However, the exercising habit is a mindless and automatic habit. In other words, I don’t have to think about it. But when it comes to writing, I have to think about the story I have to write. I can’t just let my body go through the motions. I have to actively think about what happens next in my novel. So I wasn’t able to create a habit for my writing with BJ Fogg’s program. So I was wondering if this one works? I had a similar experience with switching to e-readers. I initially did it so I could do something better with my “internet breaks” during work, but I found that I was reading more in general. I realized that I’m a bit addicted to computer screens and that I have a much easier time reading if I’m doing it on an iPad. Still, I’d like to get better about my internet habits. A year and a half ago I was in the good habit of not looking at any web pages, e-mail, or Facebook until lunch and then going another 3 hours without it afterwards. How do I get the full interview? I’m on the brain trust emails, but the link in that email goes to the same 5 minute summary video. 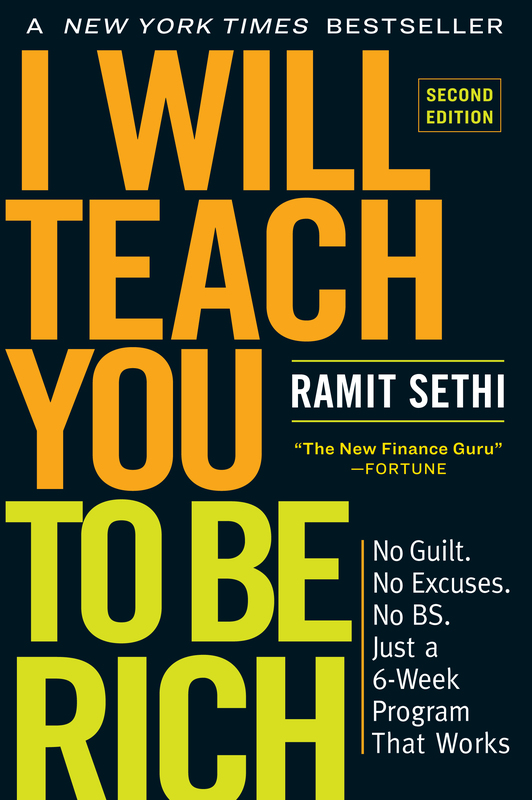 Ramit, this awesome article. I like having new habits, more productive and more focus on my financial goal. This is helpful to me; I used to be distracted by many things. Good post. I downloaded the “The Power of Habit” on my Kindle earlier this year and it was VERY interesting on how the brain works. I am going to read it again this weekend. Thanks! Great article. I’ve been reading a lot about life hacks & systems, and tried one that works. I made a little checklist and stuck it on the front door to my apartment. It has everything that I need to take to work daily but that I might forget if I’m in a rush–things like lunch (since I made a conscious decision not to eat out for lunch, thanks to your book). I have glanced at this list every morning before heading out the door, with a 5% failure rate. There were 2 days early on where I skipped the list…on those days, I forgot my phone and my lunch. Now I’m at the point where I check my briefcase WITHOUT the list–finally! I’m looking forward to hearing more about systems and habits! I’ve also made it a habit to read a new book every fortnight, although my initial plan was to read one every week. Though that didn’t happen, I’ve been following up on my altered plan pretty nicely so far. Wow, four books a week? That’s incredible! How do you find the time and motivation to do that? At best, I can muster out about a book a week. Also, what types of books do you spend time reading? Fiction or non-, or a mix of both? Very good article on very important topic. Without ability to make new habits we can’t move forward especially when with current habits we don’t have results we expected.